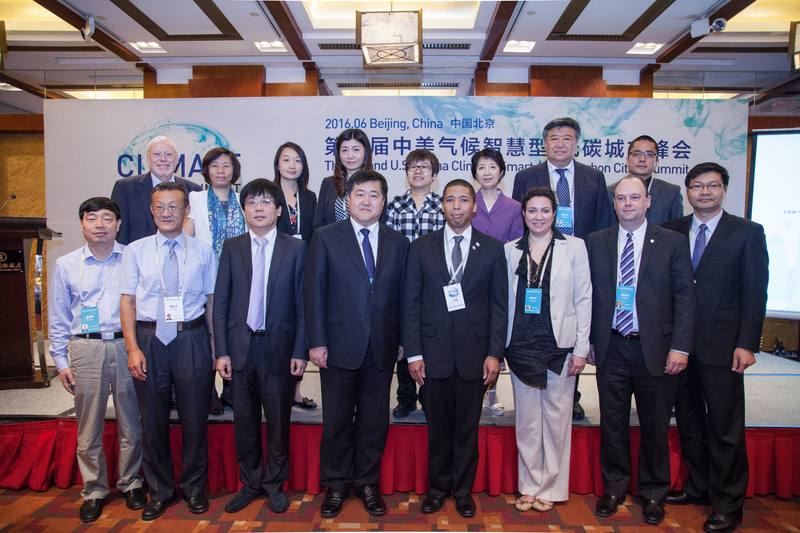 On June 7-8, NRDC hosted a session on low-carbon buildings during the Second U.S.- China Climate-Smart/ Low-Carbon Cities Summit in Beijing. Leading city officials, academics, and NGOs from the two countries convened to take firm steps toward more sustainable urban development. U.S. Secretary of State John Kerry and China State Councilor Yang Jiechi delivered opening remarks. This high-level summit aims to help both countries address climate change by assisting cities that have already taken significant steps to strengthen their sustainability efforts. At the first Summit, held in Los Angeles in 2015, Beijing, Shenzhen, Guangzhou, and Sichuan province, among others, jointly launched the “Alliance of Peaking Pioneer Cities” initiative, which is modeled on China’s national commitment to peak carbon emissions by 2030. Some cities, such as Beijing and Guangzhou, even committed to peaking their emissions by the end of this decade. 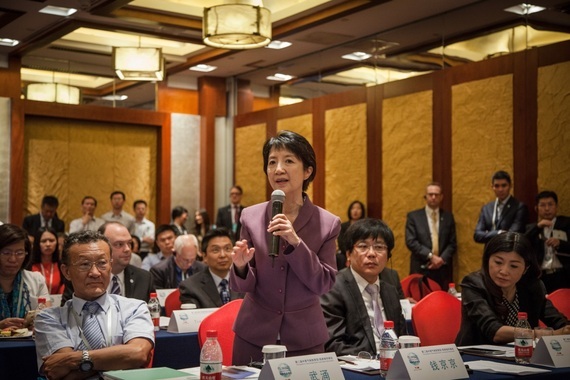 This year, more than double last year’s number of city representatives attended the forum, including 20 from the U.S. and 54 from China. The explosive growth in attendees demonstrates the high regard with which both countries held this year’s Summit and a growing mutual interest in the effort to peak emissions as soon as possible. China and the U.S. are leading the movement of low-carbon cities as one of the fastest ways to reduce energy consumption. More than 70% of global emissions come from cities, of which the building sector is by far the most energy-intensive. In the U.S., buildings account for 40% of total energy use and related emissions. In China, the share is around 30%, but it is projected to increase rapidly as the economy transitions from heavy industry to the service sector and more people move into cities to find work. Moreover, in densely populated urban centers like New York City, buildings may account for up to 75% of the city’s carbon emissions. The same is true in China, as standards of living improve: in the business districts of Beijing and Shanghai, the building sector is approaching 70% of the cities’ carbon impact. Buildings, therefore, present huge opportunities for U.S. and Chinese cities to cut carbon emissions by raising building standards and performing retrofits on all existing building stock. Fortunately, there are proven technologies that will facilitate this low-carbon transition at a low cost, and some strategies will cost nothing at all in the long run. The NRDC breakout session focused on cities that are already taking concrete steps to implement low-carbon building strategies: Shanghai, Urumqi, Weifang, New York City, and Chicago. NRDC hosted the session in collaboration with the Lawrence Berkeley National Laboratory, Rocky Mountain Institute, and China Association for Building Energy Efficiency in order to help participants expand their understanding of critical strategies such as large-scale retrofits, virtually zero emission buildings, and innovative market-based incentives. For example, Changning District in Shanghai retrofitted 23 large buildings as of last year, accounting for 1.34 million square meters (14.5million sq.ft). According to Gu Honghui, the Mayor of Changning District, the retrofitted buildings collectively save 600,000 tons of CO2 per year—equivalent to more than 20% of local energy use in previous years. New York City is following a similar path: the city’s “80 x 50 plan” aims for an 80 percent reduction in greenhouse gas emissions by 2050. In light of this goal, the city has implemented new requirements and support programs that align with this comprehensive pathway, including almost 100 “low- and medium- difficulty” energy conservation measures (ECMs) designed to reduce building-based GHG emissions cost-effectively. The city also launched a program called Retrofit Accelerator that provides individual home-owners, tenants, and residents with resources to improve their energy efficiency. A common practice shared by cities of both countries is to increase the transparency of energy consumption data. You cannot manage what you do not measure. Changning has set up an energy monitoring system to collect real time data from sub-meters installed in non-residential buildings. As of 2015, 165 buildings have been connected to the system, allowing for the oversight of 610 million kWh of electricity usage. With this enormous data collection, Changning intends to decarbonize their building sector by regulating energy information disclosure, drawing lessons from other countries, and designing their own system of energy benchmarking. NRDC has supported Changning in this endeavor for the past three years. After a year of partnering with the district, we presented Shanghai in 2014 with an in-depth study (in Chinese)on the best practices of New York City and other U.S. cities. On Earth Day 2016, we hosted a delegation from Changning in New York City and arranged for a tour of the Bank of America Tower, the first high-rise office building to have attained LEED platinum certification, as well as the Empire State Building, a well-known example of a deep retrofit of a high-rise building. We also conducted a study on the potential for implementing a benchmarking policy in Shanghai by collaborating with Shanghai Twenty-First Century Energy Conservation Technology Co., Ltd.. We are now working with Changning to implement a pilot benchmarking program in Shanghai and helping the Shanghai government develop a stronger market for building energy retrofits with the support of the U.S.-China Clean Energy Research Center (CERC). Chicago, meanwhile, passed an Energy Benchmarking and Transparency Ordinance in 2013 in the same spirit of information disclosure. The Ordinance now receives whole-building energy data and verification for approximately 3,600 buildings—20% of the city’s square footage—including all residential, commercial, and governmental buildings above 50,000 square feet. The potential for energy savings is significant: last year alone, the Ordinance identified $100-184 million in prospective energy savings. Chicago is also the first U.S. city to require residential energy use disclosure for real estate agents, according to Chris Wheat, Chicago’s Chief Sustainability Officer. Looking forward, China’s building sector must prioritize the retrofit of large existing non-residential buildings and expand the construction of near-zero emission buildings. 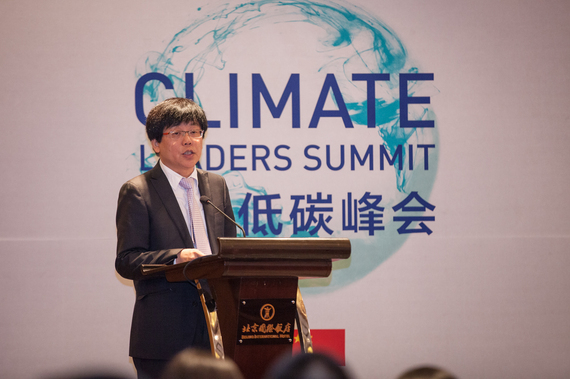 Wu Yong, former Director General of the Ministry of Housing and Urban-Rural Development, presented a roadmap for increasing the energy efficiency of buildings at the Summit. He described the importance of scaling up from individual building retrofits to large-scale retrofit projects, demonstrating the central government’s determination to advance low-carbon buildings. To accelerate the process, cities in both China and the U.S. must dynamically adapt. They must establish regulations, clear guidelines, and policies to eliminate obstacles that hinder the expansion of low-carbon buildings and retrofits that will increase energy efficiency. It is estimated that during the 13th Five-Year-Plan period, China will need to invest roughly $250 billion in energy efficiency (in Chinese) to support the construction of greener buildings and the large-scale retrofitting of older homes and commercial buildings. However, the towering budget is unlikely to be met by government alone. The path to sustainable cities in China calls for active investment from the private sector as well. NRDC is proud to provide strategic advice and technological support to low-carbon building development in China. We are confident that our efforts will lead to the early peak of energy-related emissions in Chinese cities. This blog was co-authored with NRDC China Program's Building Energy Efficiency Specialist Pan Zhiming.